Tenders for new artillery systems, light helicopters and conventional submarines will only be floated by the new government. Rosoboronexport is particularly interested in the contract for supplying six submarines, which could be worth $10.7 billion. With the Indian parliamentary elections looming in the background, fresh defence purchases are likely to be put on hold, even as funds are being diverted to meet the rising operational costs of India’s armed forces. India’s Ministry of Finance had refused to allocate an additional 80 billion rupees ($1.3 billion) to the armed forces to cover the costs associated with rising fuel prices and paying salaries to servicemen. The Ministry of Defense has since recommended that these costs be covered with funds that had been earmarked for purchasing weapons. The contract for supplying light helicopters is estimated to be worth $480 million. 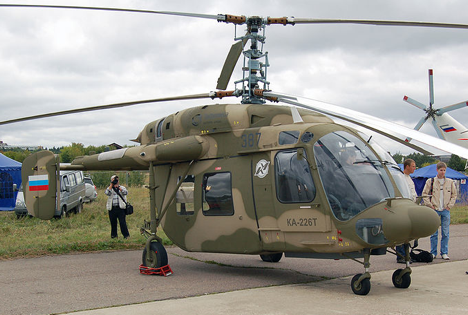 Rosoboronexport intended to take part in the tender with its Ka-226T. As for submarines, the contract for building six conventional submarines for India is believed to be worth $10.7 billion. A decision can only be made after the general elections in India this May. A number of major contracts that had been planned for this financial year were not signed and about 20 percent of the $14 billion has not yet been spent. This is significantly higher than the $1.3 billion needed to meet operating costs of the armed forces. Nevertheless, several promising contracts may be delayed. Shortly before the Ministry of Finance decision, Prime Minister Manmohan Singh sat down with military commanders and asked them “to exercise restraint in making military purchases.” It was noted that the country is experiencing serious economic difficulties that should not affect the readiness of the Indian Armed Forces. The Indian Air Force (IAF), which accounted for half of all appropriations, has used more upgrading funds than any of the other military wings. Unlike the army or the navy, over the past five years, the IAF has spent all of its allocated funds and managed to convince the Ministry of Finance to allocate extra funds for so-called small-scale projects (spare parts, aerial bombs, and missiles). Now they will likely have to abandon this practice. This is an abridged version if an article in Izvestia. Read the original in Russian.